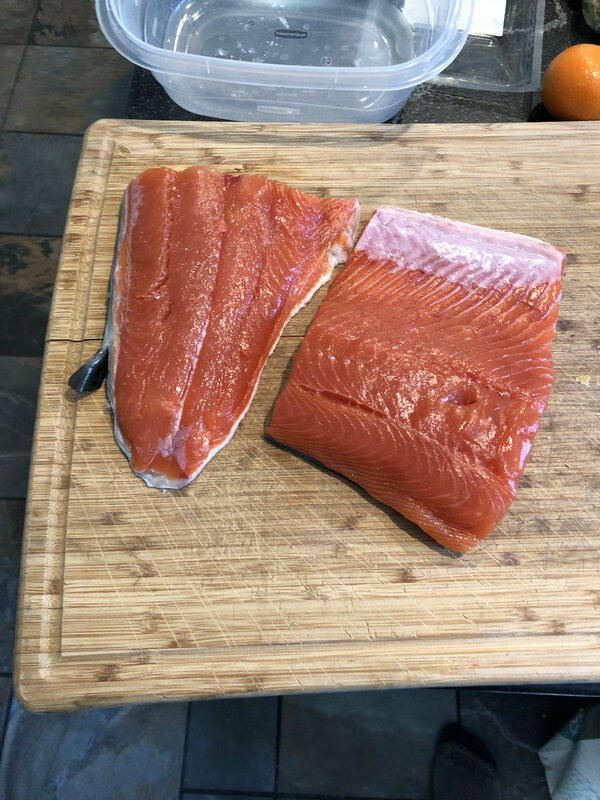 Bought two lbs of wild caught Coho from Whole Paycheck. 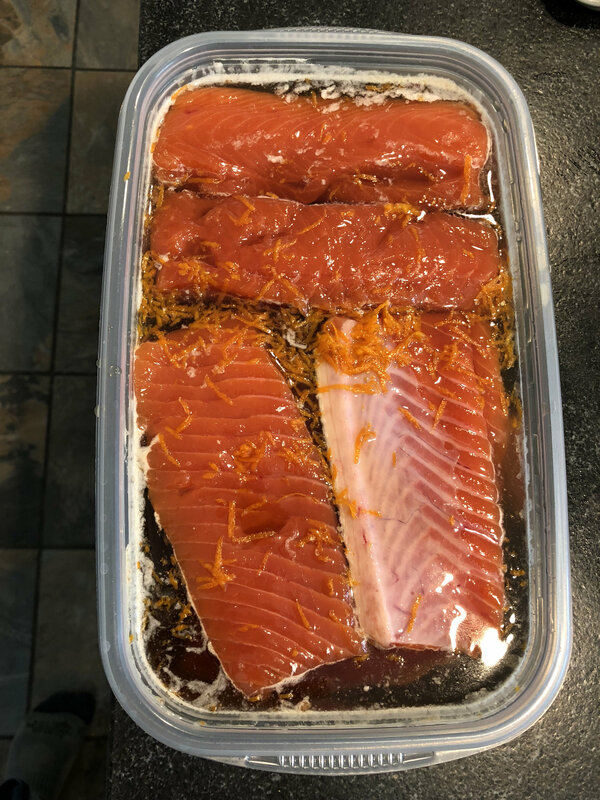 Put it in to the brine for 8 hours, then will dry on the rack overnight in the fridge to form the pellicle. I will smoke it tomorrow to go with some Ribeyes and grilled asparagus. 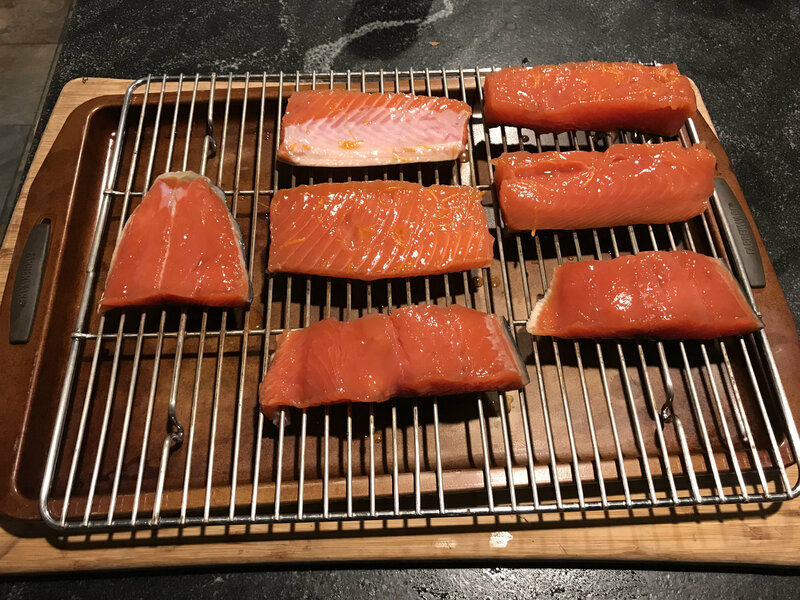 Great looking salmon, you can tell it isn't that weak farm raised stuff What is in your brine? It looks good, I'm guessing orange zest and some teriyaki or maybe soy sauce. 4 cups cold water, 1 cup pure maple syrup, 1/2 cup brown sugar, 1/3 cup kosher salt, and zest of 1 orange. Before putting it on the smoker tomorrow I plan to add a light dusting of the rub I use on ribs: Kickin’ Maple Honey. I refuse to buy farm raised Salmon. Looks like it should be pretty tasty. Nice work. It's "Smokin Gal", not "Smoking Al". 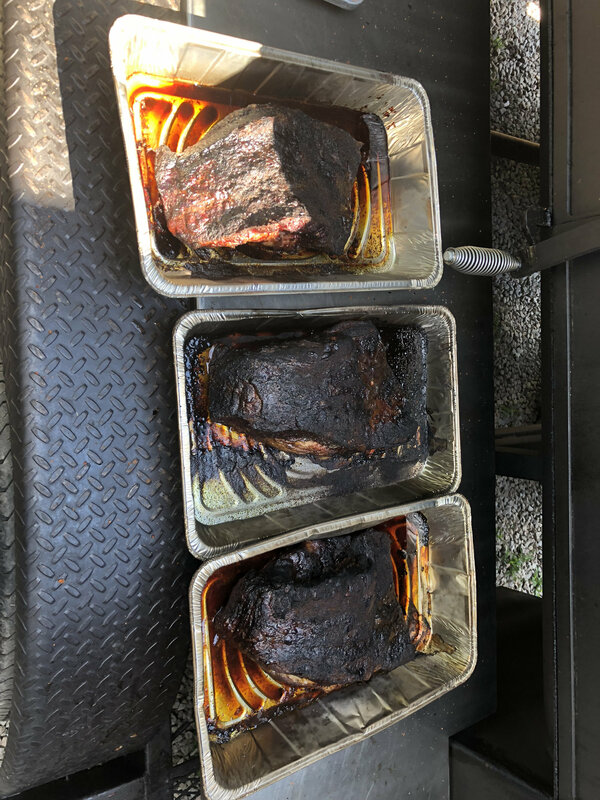 So I forgot to pull it out of the brine last night. So I just put it on the rack in the fridge to dry. Looks good, we are doing the same for dinner. 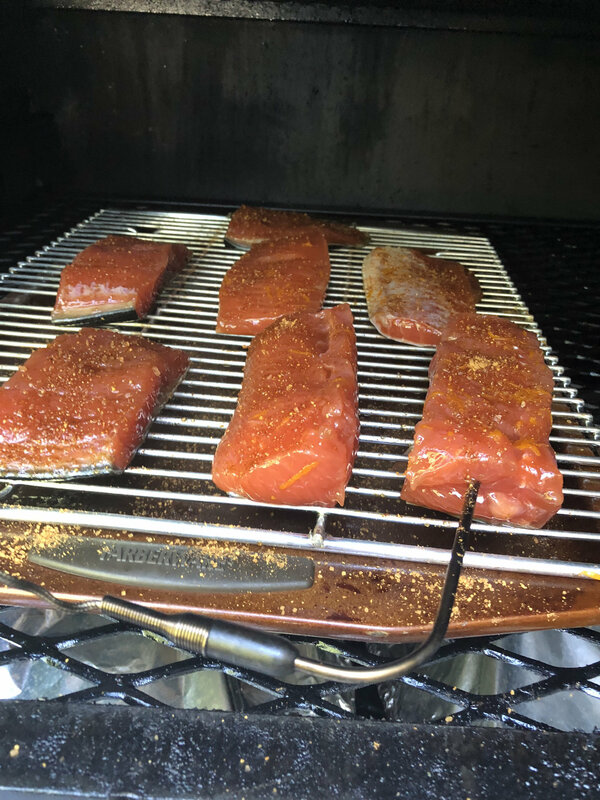 Did some salmon a few years back on cedar plank with drizzle of maple syrup and kahlua. Little sweet but great flavor. 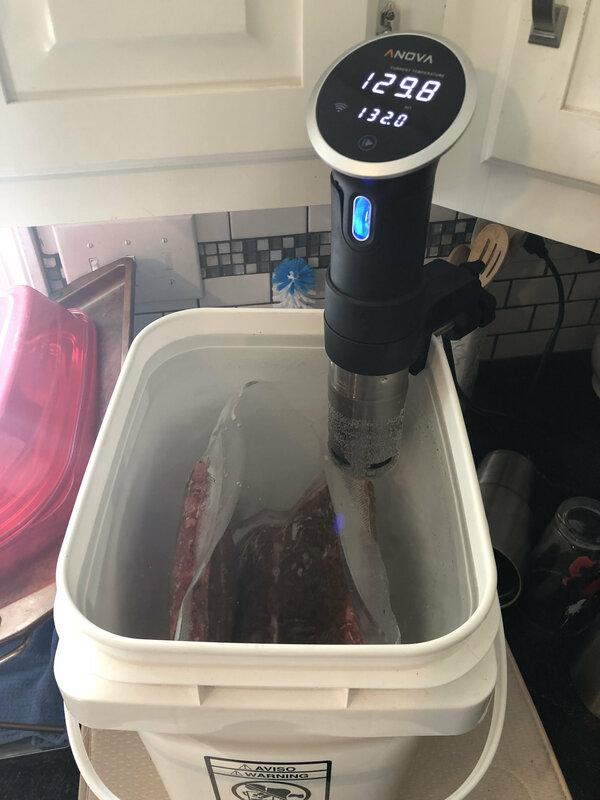 This will be paired with some SV reverse seared ribeyes, grilled asparagus, and roasted root veggies (purple carrots, parsnips, and fingerling potatoes). More pics to follow. Left in the fridge for 8 hours, sprinkled a light dusting of Hot Honey Maple rub and into the warmer on Ol’ Mortimer. 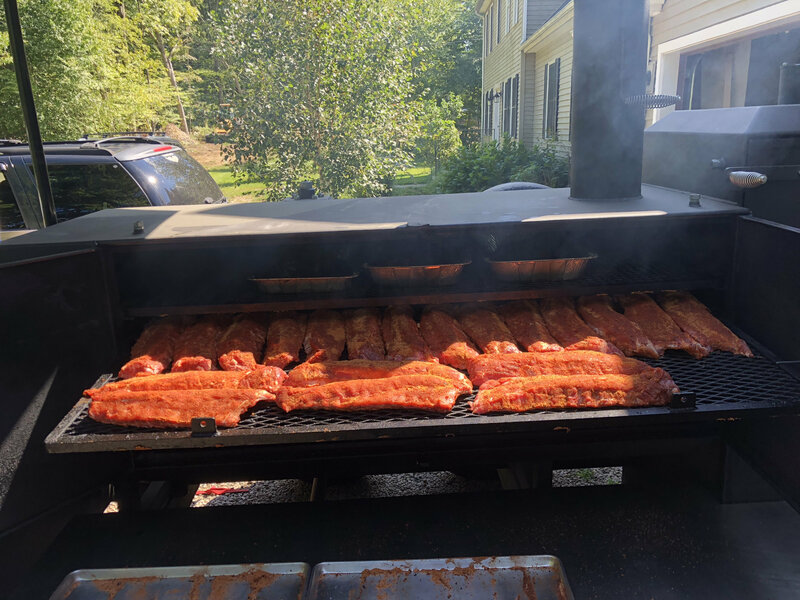 Warmer is running 175 F while I’m cooking 3 packers and 33 racks of baby backs for the boys in the mechanical maintenance shop at work. This was all prepaid so that’s how many sold. 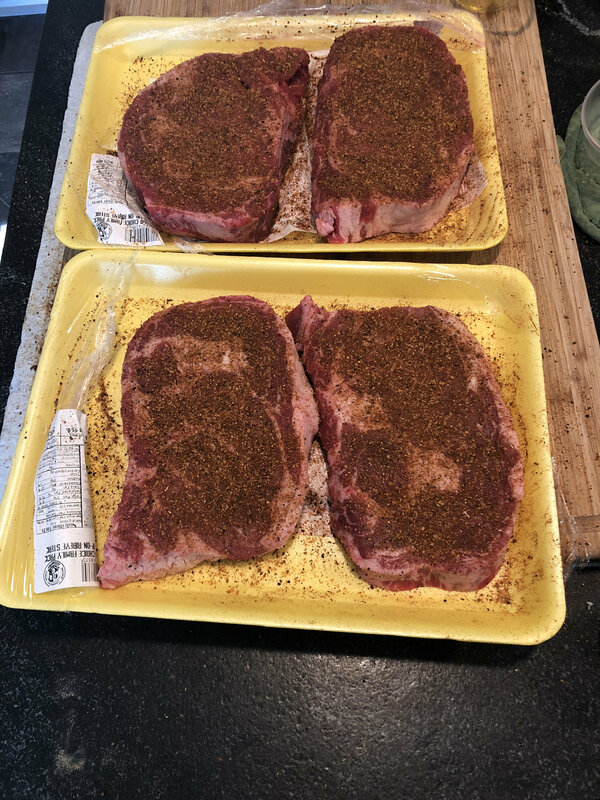 A couple of decent looking Ribeyes with some Cowlick. 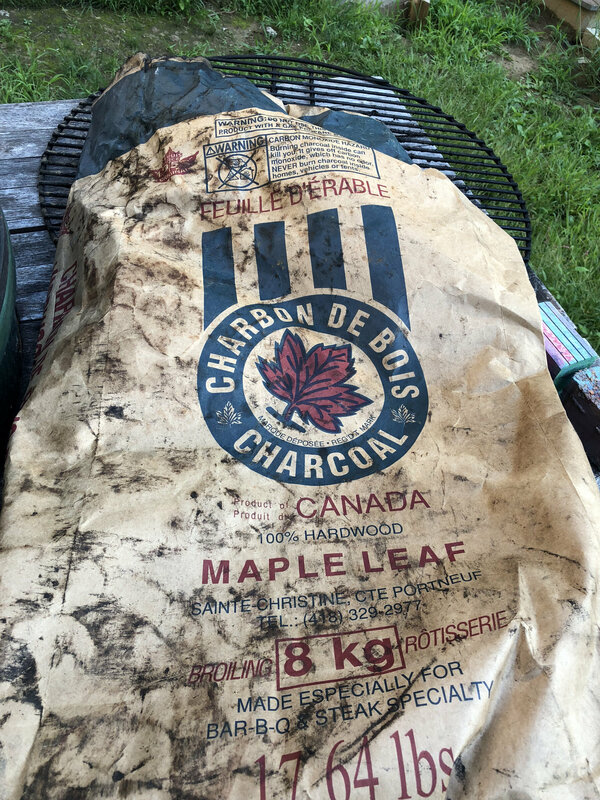 The veggies to be roasted and today’s charcoal of choice. I like how this is shaping up.